For information on the application process for 9th, 10th, and 11th graders for the 2019-2020 school year, or for information on the application process for transferring 8th, 9th, 10th, and 11th graders for the 2018-2019 school year, please visit the Transfer Student Application Process page. 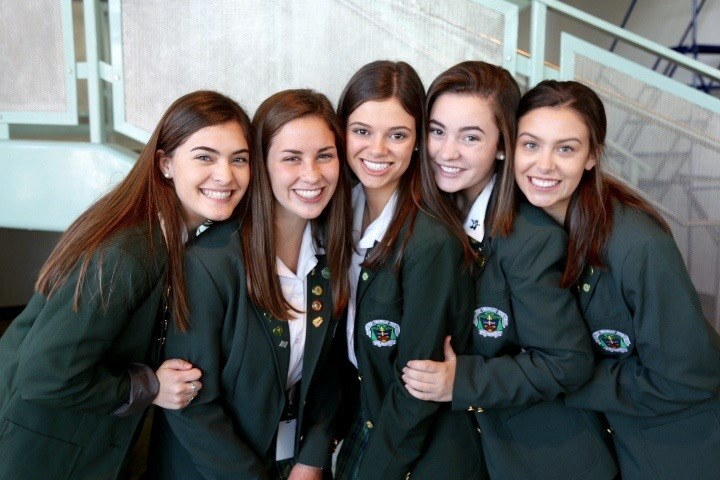 If you are an 8th grade student from a non-Catholic school applying for the 2019-2020 school year, please download and print the PDF application linked below. Please submit all documents by Tuesday, November 27 to the front office, or e-mail scanned documents to eradcliffe@archbishopchapelle.org. Catholic school applicants, please reference the timeline below for more information. Office of Catholic Schools Admissions Applications (also known as application cards) will be posted online and distributed to Catholic elementary schools. Non-Catholic school students should pick-up the Archbishop Chapelle High School application from our front office, or download it in the link above. Catholic school students will return completed form to Catholic elementary school principal by Friday, November 16, 2018. All Archbishop Chapelle High School applicants are mailed information on testing, interviews, and scholarships. Students attend Application Day on Saturday, January 12, 2019 at Chapelle. Check-in and donuts begins at 7:30AM, and the High School Placement Test begins promptly at 8:00AM. The results of the High School Placement Test are not used in the acceptance or refusal of applications. Students are to bring a $30 non-refundable application fee. Checks should be made payable to Archbishop Chapelle High School. Prospective student interviews are held with students and guardians. Information on scheduling interviews will be included in the December applicant mailing. Applicants are notified of Admissions decisions no earlier than 3PM.